What is a Scale and Polish Treatment? 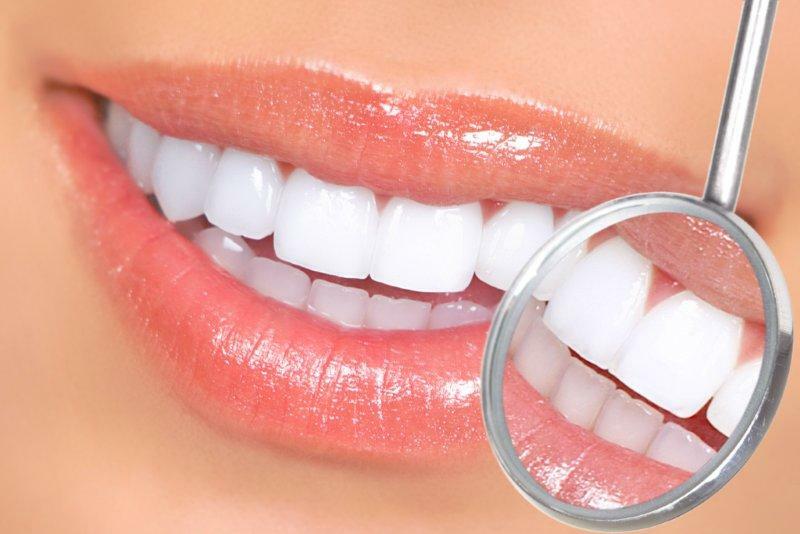 A scale and polish treatment is a cleaning procedure to remove the build-up of plaque and tartar, which may have accumulated on the teeth surfaces; when left unattended, these deposits can lead to the multiplication of bacteria, and result to dental problems such as tooth decay, or gum problems. Prior to the scale and polish treatment, an instrument sending out vibrations will be used to loosen big tartar pieces from the teeth surfaces; this instrument can also emit cold water as a jet spray to increase the comfort level. 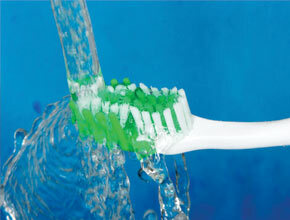 The dentist will then use a tool called a scaler, which looks like a small hook, to start with the scaling procedure. This small hook-like tool is used to pry off and remove hard plaque deposits from the surface of teeth, and from the spaces in between teeth and the gum line; the scaler is also used to make the surface of the teeth smoother. A dental polisher is used together with prophylaxis paste to polish the teeth after the scaling procedure; polishing the teeth will also help in the removal of smaller pieces of plaque deposits which the scaler may not have completely removed. The polisher and the paste will work together to bring out a smooth and shiny appearance to the newly-cleaned teeth. If you feel any discomfort during the time when the scaler is used to remove plaque deposits, do not hesitate to inform your dentist so that the pressure or force can be adjusted – to make the entire procedure more comfortable for you. Relaxation exercises may be recommended by your dentist to make you more comfortable if you are anxious about the treatment; a local anaesthetic may be used if the procedure becomes too painful for you, especially if you have sensitive gums and the plaque/tartar deposits need to be removed with in-depth cleaning. Why Have a Scale and Polish? A scale and polish is needed to remove the deposits of plaque and tartar that accumulate on the surface of the teeth, and along the gum line. Removing these deposits prevents the development of bacteria that can cause tooth decay, gum disease, and other dental problems. A scale and polish treatment will also effectively make the teeth shinier, so that your smiles will look brighter and a lot healthier. Who Can Have a Scale and Polish? A scale and polish treatment may be included when you go to your dentist for your regular dental cleaning treatments. The scaling and polishing is recommended even more if you already have deposits of tartar and plaque that need to be removed so that bacteria will not have a chance to multiply, and cause dental problems to develop. You can also go for a scale and polish if you want to remove a few discolourations or stains from your teeth. Scale and polish treatments effectively remove plaque and tartar deposits on the surface of teeth, and on the gum line. The removal of these deposits prevents the development of tooth decay and gum problems, and can even remove stains on teeth surfaces. Going for regular dental cleaning, with a scale and polish treatment, will keep your teeth protected against tooth decay and other dental problems.